The Coptic community remains certain that Al-Azhar Institute is an enormous obstacle to societal equality and progress for human rights in Egypt — the country is dysfunctional with oppressive norms, discriminatory regulations, lawlessness and violence against a prescribed underclass that includes all non-Muslims. This is all doctrinally sound. 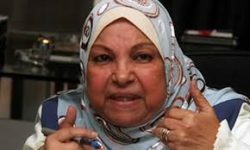 In the middle of last month, while Al-Azhar denounced a liberal law in Tunisia, the Institute created a national scandal within Egypt when it reacted to the pronouncements of two of its comparative-religion professors – Dr.
Sabry Abd El Raauf and Dr. Suaad Saleh – both specialists in the field of religious doctrine. While appearing on an Egyptian TV talk show (ITC Satellite TV) by invitation, Professor Dr. Sabry Abd El Raauf answered a call-in question about the acceptable practice of necromancy. Necromancy – a solid component of Islamic religious doctrine – tends to be a subject of derision for Egyptian school children but nonetheless a gruesome reality.